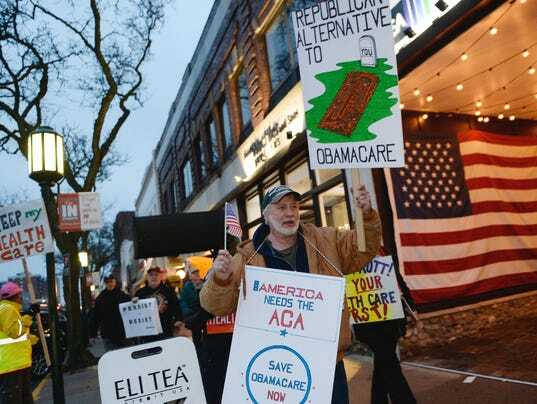 The phrase “repeal and replace Obamacare” might be in the news, but any new legislation regarding it means little for Michiganians. Obamacare and the Republicans’ fix, the American Health Care Act, are almost entirely focused on the individual insurance market, yet the majority of Americans receive employer-sponsored health insurance coverage. More importantly, more than one million Metro Detroiters are covered by employers who “self-fund” or self-insure their employee health care benefits. What does self-insure mean? It means your employer pays, right out of its annual budget, 100 percent of employee medical claims. Your card might read Blue Cross Blue Shield or Aetna, but the insurance company is simply the administrator who collects the claims and sends them off to your employer for payment. Regardless of who is paying, rising health care costs are the No. 1 threat to American prosperity. Health care costs forced General Motors, Chrysler and the city of Detroit into bankruptcy; health care costs are the main reason wages have not grown in 20 years; and, Michigan spends 40 percent (and growing) of its annual budget on health care — crowding out spending on everything else. But fixing our health care cost problem today doesn’t require a single action from Congress. Instead of marching on Washington and yelling at elected officials, we should be talking to our CEOs and heads of human resources. Self-insured employers have tremendous power to change health care. Most employers simply outsource health care benefit construction to consultants and brokers — the same people who are compensated to perpetuate our high-cost health care status quo. When the lame, status quo attempts at cost-control fail, the usual employer response is to cut, cut, cut. They resort to using an axe to prune rose bushes; high deductible health plans are blunt force instruments that do not sustainably control health care costs and will eventually exacerbate our cost problem. Indeed, a few, truly innovative employers are providing better employee benefits and reducing health care costs 20-50 percent. If everyone followed their lead, it could result in $2,500 to $5,000 annual raises for each of us and immediately pump $2 billion to 4 billion into the Metro Detroit economy every year. The solution isn’t a secret. In fact, a non-profit/501(c)(3) called the Health Rosetta was formed to publicize the simple fixes. The organization was spurred by a concerned citizen and the former global head of Microsoft’s health care business named Dave Chase. The Health Rosetta identifies a few, easy to implement, specific improvements, the most important of which focuses on the intake or front-end of the system: primary care. Hence, the Health Rosetta’s foundation is called Value-Based Primary Care or Direct Primary Care. Other improvements are then built on top, such as “Transparent Medical Markets,” where patients receive up-front pricing and even quality guarantees on a range of surgeries and procedures. These are the kinds of solutions employers should be considering as everyone wrestles with skyrocketing health care costs. Tom Valenti is the founding partner of Forthright Health. ← Can Obamacare Survive Another Round in the Congressional Boxing Ring?